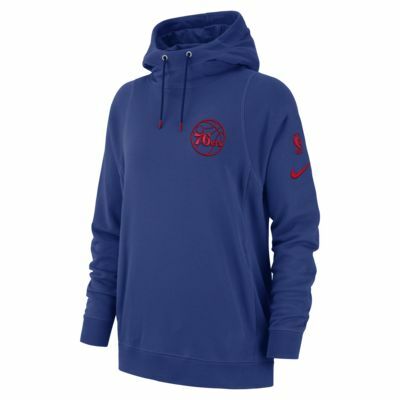 The Philadelphia 76ers Nike Women's NBA Pullover Hoodie has a roomy, relaxed fit for pullover comfort and ease. It's made of soft French terry fabric and premium embroidery details. 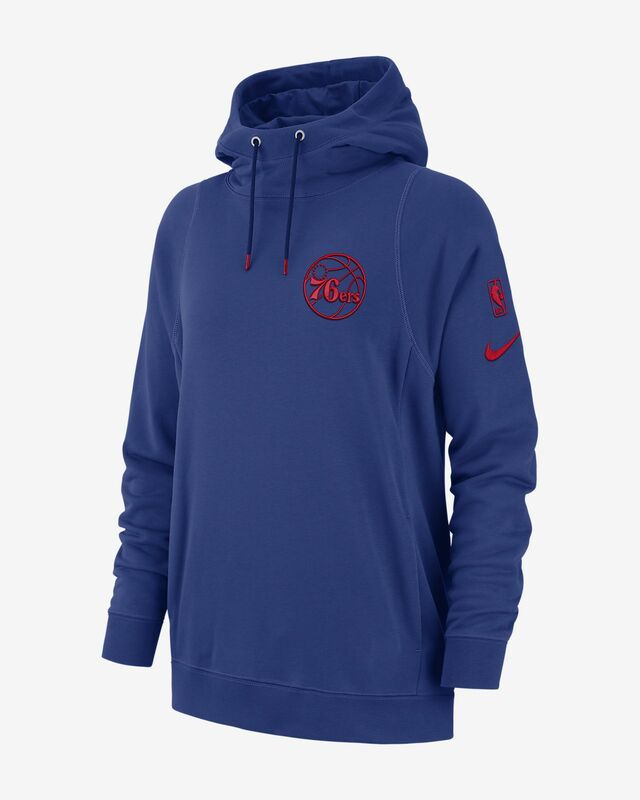 The Philadelphia 76ers Nike Women&apos;s NBA Pullover Hoodie has a roomy, relaxed fit for pullover comfort and ease. It&apos;s made of soft French terry fabric and premium embroidery details. Fabric: Body: 52% cotton/29% polyester/19% rayon. Rib: 49% rayon/47% cotton/4% spandex. Pocket bag and hood lining: 100% cotton. Have your say. Be the first to review the Philadelphia 76ers Nike.